Loop: The top part of the baritone saxophone. 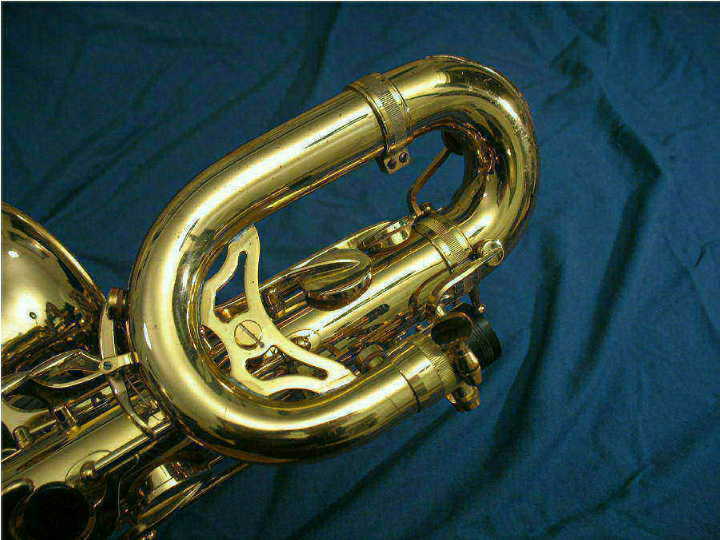 The alto-shaped neck attaches to the receiver on this part of the bari. DO NOT carry the instrument by holding the loop; it is connected to the body by only one solder point and a brace.